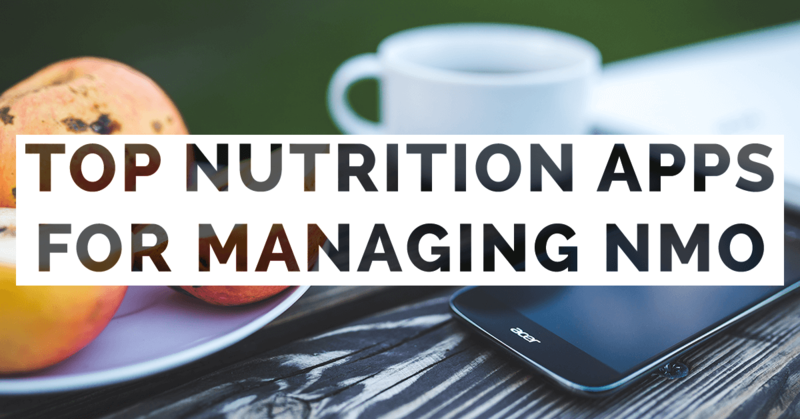 Check out our list of top nutrition apps for managing NMO. YOUR HEALTHY DIET PARTNER: Track your food and exercise, Track the quality of calories, not just quantity, Over 250,000 UNIQUE products are graded just for you (A, B, C, or D), Track your own foods and recipes, Get recommendations for healthy foods based on what you currently eat, Get answers and motivation from the community, and Share your tips and success to motivate others. Easily calculate daily nutrient recommendations for dietary planning based on the Dietary Reference Intakes (DRIs). With this app, the USDA’s Food and Nutrition Information Center puts the National Academy of Sciences’ Institute of Medicine’s DRI recommendations at the fingertips of health care practitioners, including Registered Dietitians (RDs), doctors, nurse practitioners and others who can help consumers interpret and use these DRI values to guide healthy dietary behaviors, enhances accessibility to the DRIs and provides supplemental information, such as access to DRI reports, nutrition education resources and pregnancy weight gain charts to further educate users. Ask Karen provides 24/7 virtual assistance and tips on preventing foodborne illness, safe food handling and storage, and safe preparation of meat, poultry, and egg products. Mobile Ask Karen has all the same features as Ask Karen from your desktop or laptop. You can get answers to your food safety questions while at the grocery store, farmers market, in your kitchen, or while at your barbecue grill. Using your Android device, you can chat live with a food safety expert on weekdays between 10 a.m. and 4 p.m. EST, and the app provides the USDA Meat and Poultry Hotline number (1-888-MPHotline) in case you want to speak to someone directly.You can share answers to food safety questions via email from Mobile Ask Karen. Tracking calories works! Join the millions who have lost weight with LIVESTRONG.COM Calorie Tracker — the most user-friendly way to track your calories on your Android phone. With the LIVESTRONG.COM Tracker, you can: Browse a comprehensive food database with over 2 million items, Use our handy bar code scanner to find and track food easily, Create custom foods and meals, Get a personalized daily calorie goal based on your profile information, Keep track of your weight and progress over time, Review detailed data on your nutritional intake of protein, fat, carbs, fiber, sugar, sodium & more, Easily keep track of your water intake, Get real-time, 24/7 support from members of our motivational community and others on a similar journey, and Log workouts from our extensive exercise tracking database. Montezuma’s revenge, Delhi belly, or travelers’ diarrhea—whatever you call it, an illness from unclean food or water can ruin your international trip. Help prevent travelers’ diarrhea and other illnesses by using CDC’s Can I Eat This? app. Select the country you’re in and answer a few simple questions about what you’re thinking about eating or drinking, and Can I Eat This? will tell you whether it’s likely to be safe. With Can I Eat This?, you can be more confident that your food and drink choices won’t make you spend your international trip in the bathroom.